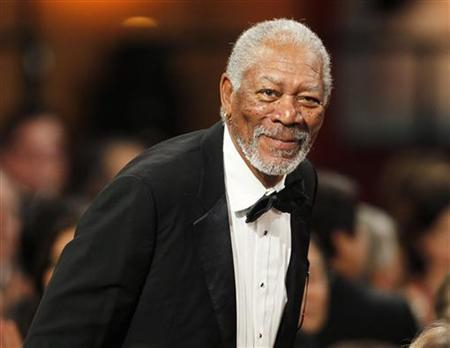 Morgan Freeman's lawyer demanded Tuesday that CNN retract a story accusing the 80-year-old movie star of multiple cases of sexual harassment. "We presented CNN with objective evidence, including videotapes and on-the-record denials by the claimed 'victims,' that the alleged incident that gave rise to the story never happened," lawyer Robert Schwartz said in a statement. In a letter sent to the television news network, the lawyer accused CNN of "malicious intent, falsehoods, sleight-of-hand, an absence of editorial control and journalistic malpractice." Schwartz said in a later statement that "we proved to CNN, beyond any doubt, that the whole story was built on fakery. The credibility of the entire CNN attack on Mr. Freeman has now been undermined." Sixteen people – eight of whom say they were victims – last week described to CNN a range of troubling behavior by Freeman on production sets or promotional tours. "I apologize to anyone who felt uncomfortable or disrespected – that was never my intent." She said that during a press conference for the 2017 movie "Going in Style," Freeman looked her up and down and said, "Boy, I wish I was in there." In his letter, Schwartz accused Melas of "baiting and prodding" a number of "so-called witnesses" to malign Freeman. Tyra Martin, one of the television journalists cited in the CNN report, denied she was one of the accusers and said the news network "totally misrepresented" a video in which she had interviewed Freeman. The report "took my remarks out of context," she added. Martin acknowledged having felt ill at ease one time when she stood up and Freeman asked her not to pull her skirt back down after it had ridden up. She said, however, that her interviews with the movie star "were always fun for me." "I am devastated that 80 years of my life is at risk of being undermined, in the blink of an eye, by Thursday’s media reports," he said.